This is a good MBA finance project report on central excise duty at Visteon Automotive System India Ltd and is submitted in partial fulfillment of Masters in Business Administration. 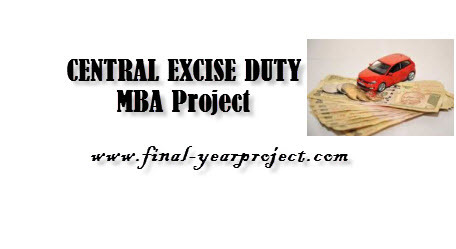 The report study various aspects regarding Central excise duty. The report is divided into various chapter and start with the company profile and objective of the study. You can also Subscribe to FINAL YEAR PROJECT'S by Email for more such projects and seminar.